Advanced – So You Want To Be A Level 3? So you want to be an L3? Many times I have been sitting on the flight line and someone has walked up to me and said, what do I have to do to be a Level 3? I always come back to them and say, “You have just done the first step”. This meaning asking an L3CC or TAP on how to become a Level 3 flyer. On our Website if you click on Certification, you can contact the L3CCs and TAP members in our club. Here is just a quick synopsis of what you need to become an L3 flyer. After becoming an L2, fly electronics, learn as much as you can about altimeters and timers. 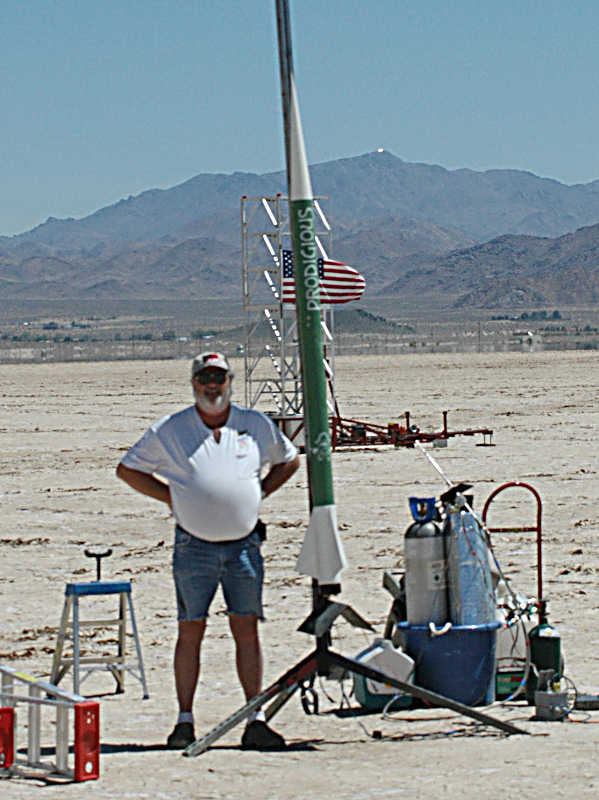 While you are learning electronics pick a rocket for your L3, this can be a kit or scratch built, then find your L3CC or TAP member and have a conversation with them, as they will mentor you on what is needed. We don’t design the rockets or tell you what to pick, our job is to help you have a safe successful Level 3 certification flight. Part of the process will be putting together a summary notebook of construction, with pictures, etc. of the build from start to finish. Learn RocSim style software to assist you in your simulations while building your rocket. As you build your L3 project, it is important to keep in touch with your selected L3CC or TAP from the start of your project to the finish for all the extras that need to be completed i.e., fin can, electronics bay, ejection system, nose cone weight (if needed), etc etc. The key phrase to remember is, KEEP IT SIMPLE. Stay with simple processes, as they say “the up part is the easy part”, the parachute deployment and the rocket landing safely on the ground, being able to fly again without repairs, is the hard part. This is just a short and simple explanation of “How Do I Get My Level 3”? The most important part of this process is to pick an L3CC or TAP member and stay in touch with them from the start of your project to the day you bring your project to the Playa and watch it successfully launch and hear these words “Welcome to Level 3”.